What's behind the brew bar? - Marco Beverage Systems Ltd. There is a quiet revolution taking place in the world of Speciality Coffee. The internet has connected coffee farmers in producing countries with coffee roasters in the consuming countries. The result is the emergence of high quality coffee in a wide variety of unique highly complex flavours. These traceable “estate” coffees are unique to the individual farm, location and season and provide a kaleidoscope of exciting choice compared to the consistent blends provided for so many years by the big brands. 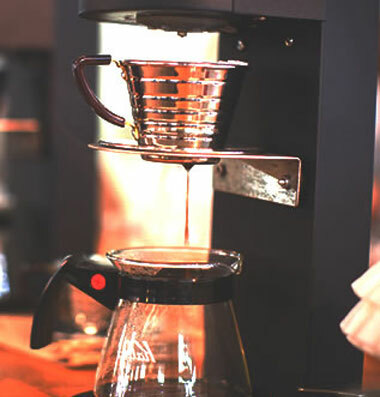 Further good news is that the coffee community has developed a whole new range of simple and affordable equipment to brew and bring out the best from these unique coffees….whether at home or in business. In an innovative initiative members of the Specialty Coffee Association in Ireland and Marco have come together to create a Coffee and Tea “Brew Bar” where you can experience this revolution first hand, by tasting samples of these coffees, and learn about their provenance. The next brew bar will take place at Litfest before taking it’s place in Melbourne and then Nice for some major coffee events. View Marco’s range of water boilers online, and feel free to contact us with any queries. We’ll be happy to help!